We are greatly dismayed and increasingly alarmed with the way the PF are handling matters of wage payment to civil servants and teachers which is becoming a habit in perpetuity. 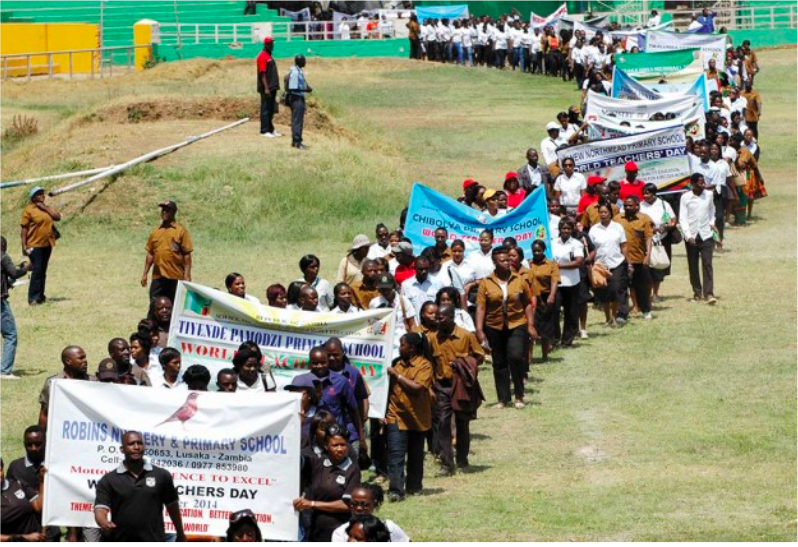 Every month our teachers and civil servants receive their salaries way from normal time which exposes them to various defaults and subsequent heavy penalties from banks and other lending institutions, who they signed standing orders with. Further, and consequently their creditworthiness is put in jeopardy with credit monitors and most importantly they are put in rental distress with their landlords and can’t also meet their food and children’s school bills, and the chain reaction goes on and on. In the meantime we see the PF buying hundreds of brand new state of the art four wheel drive SUVs and Edgar Lungu and his officials ever in the air to sign more deals in international conference halls while sleeping. Back home Mr Lungu is on a never ending campaign trail flying around the country at great expense to the tax payer and when we alert the PF on this extravagance to national resources because the economy is on its knees, they call us bitter and jealousy. Meanwhile Mr Lungu is gleefully pleased with his officials that raid civil service work places when the PF are not reciprocating the workers by paying them on time. This country is on autopilot and Zambians must use available legal and peaceful means to reclaim it from such mediocre and uncaring leadership who are taxing them to death. We demand that teachers and other civil servants must be paid on time now and in future.